Wow! That’s what they’ll say when this explosion of color arrives at the front door. 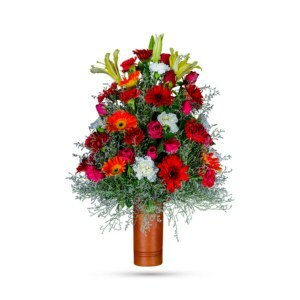 They’ll love the flowers, the bamboo vase – and you for having such exquisite taste. 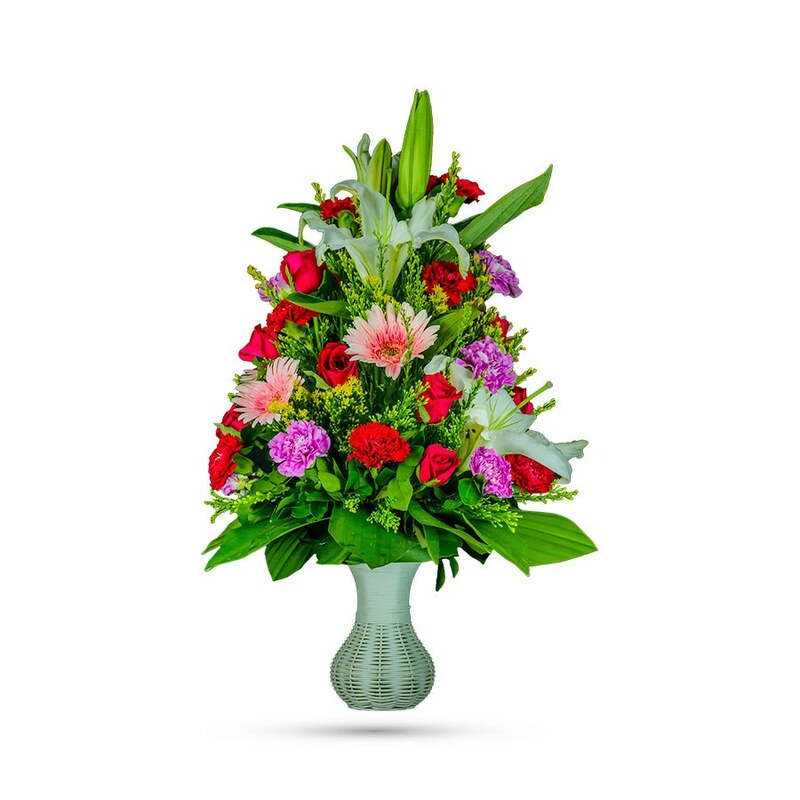 At once bold and delicate, our gorgeous gathering of blooms, Grand Entrance, is a fabulous way to fancy up someone’s day. The vibrant tropical bouquet includes peach gerberas, purple and red carnations, white Asiatic lilies and hot red roses accented with shiny green leaves – delivered in a stunning contemporary bamboo vase, it is the ultimate floral gift for any flower lover. 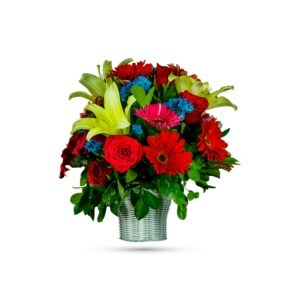 Ring in the spring, celebrate a birthday, anniversary or simply show you care with this gorgeously versatile bouquet. This gift delivers so much and it’s perfect for so many occasions. 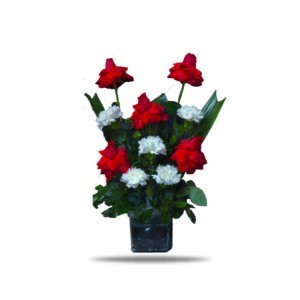 Bring this little oasis right inside a home by ordering it online on our website. Make a summertime splash with this pop art mix of purple, hot red, pink and green blossoms and bring warm-weather fun to someone’s day!